Being an active member of the military or a distinguished veteran carries with it honor and valor that no amount of money in this world can buy. However, honor and valor will not help you pay your bills and ensure financial well being of your family. In order to celebrate the brave souls that protect our country every single day, we created the largest list, available to the general public, of companies that offer discounts to active military members, veterans and their families. 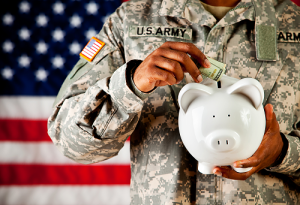 Below, you will find a list of over 400 merchants that offer significant savings on their products and services exclusively to military related personnel. These discounts vary from free event tickets to 20% off and much more. You can easily sort this list by the company’s name, discount amount and even the category. You can also search for your favorite retailer using the search function on the upper right side of the list. If you would like to make a suggestion or post additional information, please leave a comment at the bottom.